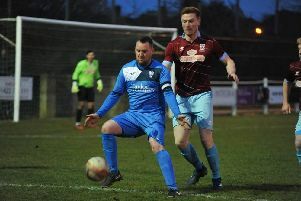 Armthorpe Welfare captain Steve Garner issued a rallying call to his teammates after his side’s miserable losing run continued at Grimsby Borough. Welfare's 3-0 defeat at the promotion chasers was their 11 successive league defeat and 12th straight reverse in all competitions. Their last victory was on October 27. 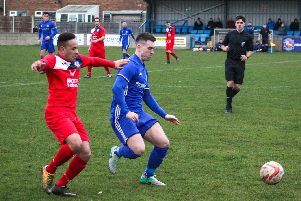 Armthorpe remain one place and three points above the drop zone. Garner said: “Every game from now until the end of the season is massive for us. Daniel Trott scored twice in the first half to put Borough in control. Armthorpe had their moments but Jack Debnam’s close range effort just two minutes into the second half killed the game. “All I can say is that the best side won,” said Garner. “We didn't show any of the hunger or desire to want to win. Over our last few performances we have worked hard and been unlucky not to get anything but we were nowhere near good enough. “We had a change in formation due to a few players not being there and I just don't think we adapted well to it. Grimsby were a well organised, strong side and were much better than us on the day and deserved their win. “In the first half we had a lot of free kicks from deep and corners but could not turn them into anything more than that. They had two chances and scored them both, due to poor decisions and bad defending from us.